Partial WBC registration for less than nine days is available. WBC 2016 Pre-Registration is now closed. We welcome new registrants at the door. Report to Stag Pass in the Seven Springs Convention Center to register at the door. Absolutely NO Paypal payments will be accepted for WBC 2016. PRE-REGISTER: WBC prides itself on being gamer friendly with a minimum of red tape. There are no sold out event tickets because there are no event tickets. One membership price covers all, with no additional event fees or tickets to worry about. There are NO refunds. Pre-registration can you save up to 50% off certain at-the-door admission prices and also saves time at check-in. However, pre-registration is a discounted rate granted in exchange for guaranteed attendance. Consequently, no refunds are available. Hotel registrations must be handled separately. See our Hotel and Travel Information page for reservation information with Seven Springs Mountain Resort. BADGEHOLDERS: Previously, all attendees at WBC needed to have a World Boardgaming Championships Organizer Badge Holder, which served as a handy souvenir keepsake, wallet and pen holder all in one convenient package—handsomely embossed with the BPA logo. It featured a clear plastic view pouch for your badge, a zipper storage compartment for money, change, or hotel keys, two additional pouches for whatever else you need and a pen holder for that elusive writing implement needed for so many games. An easily fastened neck cord assures a comfortable fit with no assembly required. Well, that was then and this is now as WBC now has one less rule. In 2016, you may have your pick of badge holding appliance—be it the free pin type or more elaborate clip-ons, magnetic or the former official pouch holder for a token $1 or $2 fee. Heck, you can even bring your own device so long as it displays a 3” x 4” badge. However, EVERYONE must have and wear a badge holder of some type during the convention—with NO exceptions. Don't expect to get a badge without it. And please help us to help you by wearing your badge at all times while in the meeting areas. PROGRAMS: Registration gives out only one program per person. In the past we've had individuals come back time and again to replace programs they've left behind in car or room or simply mislaid with the result that we inevitably run out and have nothing left for people arriving later in the week. So, please hold onto yours, because we do not have replacements. It is strictly a one program per attendee limit. You can print out and bring as many copies of the program as you want—even in color! See the WBC Schedule Page, where the program will be posted by July 1. 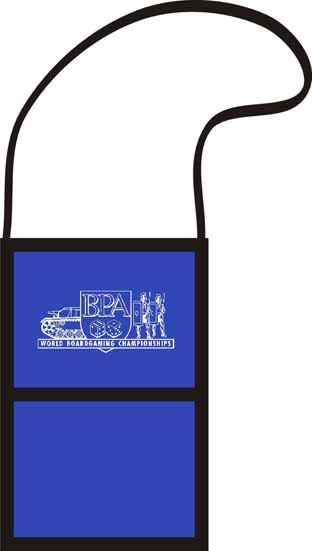 BPA 2016 Membership List: An alphabetical list is posted below and will be updated irregularly at first and weekly during the summer with the names of those entitled to attend WBC 2016. Sustaining and Tribune Members entitled to Admission throughout the nine days of WBC will be listed without reference to specific days. General members and guests who pay their admission fees by June 22 will be listed with the registered day(s) of their stay in brackets. All Tribune and Sponsorlevel members are indicated in bold and will be entitled to a free Yearbook (either by mail or upon arrival) as well as a free souvenir shirt or hat and $20 gift card on arrival. This list provides backup confirmation of the status of your registration in case you misplaced your email confirmation and is also useful as an easy checklist to see which old friends are attending this year and to cast your net for that elusive missing fourth team member, ride, or roommate. If your name appears here, you do NOT have to submit a pre-registration form UNLESS you wish to order more days admission, a souvenir hat, shirt or Yearbook, or register a team for the Team Tournament. Note: Convention programs will not be mailed but will be provided at registration to members who received them as part of membership or ordered them. They will be available electronically from the Schedule Page. Yearbooks will be on sale at registration for $10 each while supplies last. You must send an e-mail to the Assistant Convention Director in order to list information below. AIRPORT CARPOOLS: Anyone looking for a ride or riders to share expenses from nearby airports are welcome to post their desires here. BPA assumes no responsibility for any financial arrangements made between the parties or for the reliability or safety of said agreements. We ask that all attendees honor their commitments and advise their riders as soon as possible should their plans change. Once your ride arrangements have been made, please contact the Assistant Convention Director to have your name removed from this list. RIDES WANTED/OFFERED: The following registrants have indicated their interest in sharing a ride and expenses with other gamers to WBC. Once your ride arrangements have been made, please contact the Assistant Convention Director to have your name removed from this list. ROOMMATE WANTED: The following pre-registrants have indicated their desire to share a room and expenses at WBC. It may be helpful to indicate the duration of your stay, whether you actually have a reservation or are willing to share someone else's, hotel choice, smoking and gender preferences, etc. BPA assumes no responsibility for any financial arrangements made between the parties or for the reliability or safety of said agreements. We ask that all attendees honor their commitments and advise their roommates as soon as possible should their plans change. Once your roommate arrangements have been made, please contact the Assistant Convention Director to have your name removed from this list. OPEN-GAMING OPPONENTS WANTED: Looking to set up an open gaming match at WBC in our expanded Open Gaming area? List your wants here. Once arrangements have been made, please be considerate of others and contact the Assistant Convention Director to have your name removed from this list. CHILDCARE: If you are interested in using or providing childcare at the convention, contact the Assistant Convention Director. BPA assumes no responsibility for any arrangements made between the parties or for the reliability or safety of said agreements. NON-GAMING EXCURSIONS: If you are interested in coordinating with other non-gamers who will be attending, contact the Assistant Convention Director. BPA assumes no responsibility for any arrangements made between the parties or for the reliability or safety of said agreements. LOST AND FOUND: If you have misplaced anything or found anything that is not your at the convention, contact the Assistant Convention Director to post the information here. Please help us return items to the owners who are looking for them. OTHER MISCELLANEOUS: If you have an announcement, contact the Assistant Convention Director to post the information here.